President Pranab Mukherjee on Tuesday called upon India and Vietnam to work together to achieve a target of $15 billion in bilateral trade by 2020.During a meeting at Rashtrapati Bhavan with Vietnam's visiting Deputy Prime Minister Pham Binh Minh -- who is also Foreign Minister of Vietnam, the President said many Indian companies were keen to invest in Vietnam. President Mukherjee said India and Vietnam traditionally share warm and cordial relations based on mutual respect and goodwill and the fruitful partnership has grown in recent years. According to an official release, Mukherjee said he was confident the relations will continue to grow in the years to come. 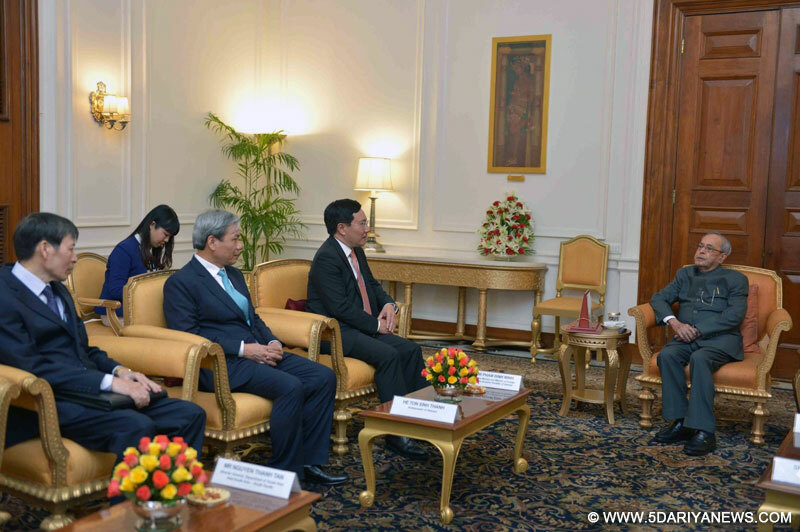 The Vietnamese leader warmly reciprocated the President's sentiments and said Vietnam was keen to work with India in taking bilateral relations to greater heights.